The American Studies Association’s endorsement of an academic boycott of Israeli institutions of higher education produces no winners and creates a multitude of losers. Freedom of academic inquiry and academic collaboration contribute to the productive advancement of science. In turn new scientific discovery is the backbone of innovation – a common denominator that fosters prosperity for both Israeli and U.S. knowledge-intensive industries. The ASA’s majority opinion would deprive the U.S. economy of one of its most fertile grounds for collaborative innovation. Not only does the ASA disregard Israeli universities’ tradition of openness, tolerance and debate, it likewise disregards the Israeli hospitals which treat terminally ill Palestinians free of charge, or victims of the Syrian civil war, and disregards the hundreds of Israeli academics working with Palestinians to promote civil discourse and co-existence, is a bad decision for the US. The recently published US-Israel Innovation Index tracked and compared collaboration across many fields with other countries. It clearly demonstrated the value that the US economy derives from working closely with Israel, Israel companies and Israeli scientists. American and Israeli partnerships have a history of exceptionality, with many collaborations receiving recognition with Nobel prizes. Academic cooperation has the potential to bring down barriers, build peace and prosperity to a far greater degree than publicity from an academic boycott. Instead of creating more barriers for academic linkages between US, Israeli, and Palestinian professors, we should be working towards mutual understanding created by interpersonal bonds in academic partnerships. The ASA should be emulating the scientific community’s inclusive behavior. One such initiative, jointly managed by the State Department and US Agency for International Development, the Middle East Regional Cooperation Program gives research grants for joint projects between Israeli and Arab majority countries with a United States institution often acting as an intermediary. The purpose is to conduct world class research but also create personal friendships that are the basis for peace. Lebanese, Egyptian, Palestinian, Syrian, Moroccan, Libyan scientists have all participated in this program but it is the only one of its kind. Maybe the ASA should think of starting a like-minded program in history or literature for Israelis and Palestinians instead of expanding the divide. Our recent publication, the US-Israel Innovation Index, speaks to the volume of institutional collaborations as a source of good. The 2259 scientific peer reviewed publications between Americans and Israelis in 2010 are a result of our intellectually free societies and mutually shared academic values between our two countries. Israeli PhDs teach in almost every major university in the United States. Would the ASA also suggest Israeli students or professors be boycotted from participating in U.S. Universities? This is the nature of their problematic policy. Increasing international academic linkages is a vital component of diverse thought entering higher education, and as our Index shows, is economically and socially beneficial. The United States university community, as a global leader, should not idly accept the action of the ASA but seek to admonish and distance itself from the academic boycott. The US-Israel cultural history, the kind published by academics in the ASA, is an equally important narrative at risk. Open dialogue, flow of ideas, and scholarly debate is critical. Closing academic doors does not only fails to promote peace, understanding and injustice, it is Un-American. 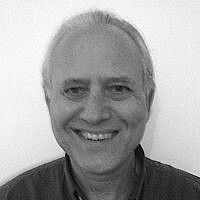 Bio: David Miron-Wapner has been Israel director of the US-Israel Science & Technology Foundation for 15 years. He also directs Sustainable Technology Projects for the Yoyah Group. He is an environmentalist and attorney licensed to practice in both California and Israel. David immigrated to Israel in 1980.